The annual API Government Job Fair 3.0 is back! 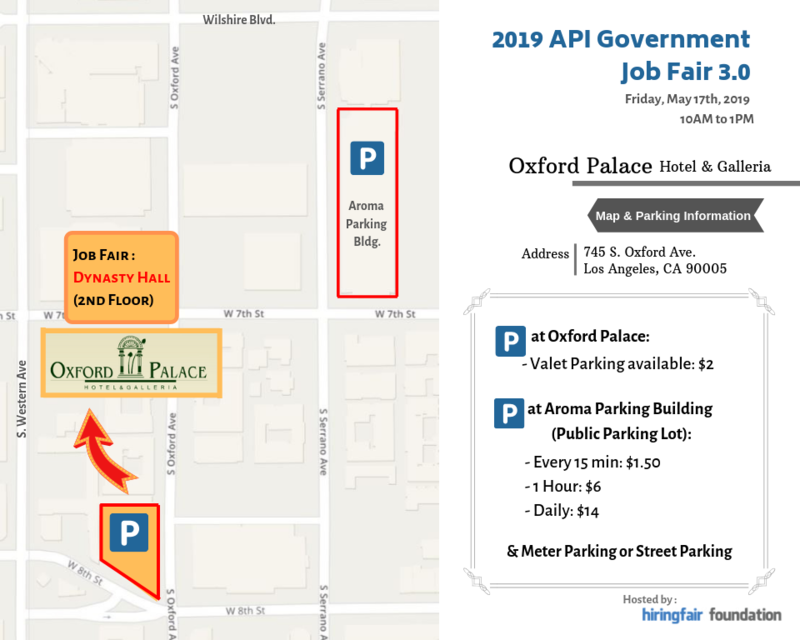 PACE – Pacific Asian Consortium in Employment is proud to present the 2019 API Government Job Fair 3.0 at Oxford Palace Hotel & Galleria on Friday, May 17th, 2019 from 10AM – 1PM. Hiringfair Foundation’s past API Government Job Fair 1.0 & 2.0 was filled to capacity by 36 City, State, County, and Federal agencies who all provided valuable information to about 650+ qualified job seekers who attended this job fair. News of the API Government Job Fair spread to other communities the Greater Los Angeles area. Media coverage of the event was also extensive from local newspapers in multiple languages, as well as international news stations who broadcast nationwide. 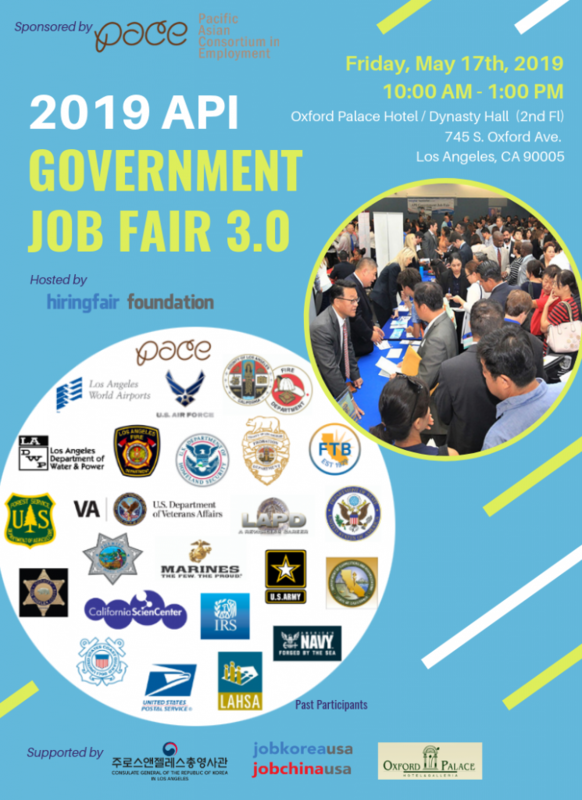 The 2019 API Government Job Fair 3.0 is free to the general public. Pre-register early to receive updates and more information as the event date nears!